Amid headlines of turmoil in the stock market, heightened global trade tensions and political tumult, it may seem like the safest place to store your money is in a savings account. 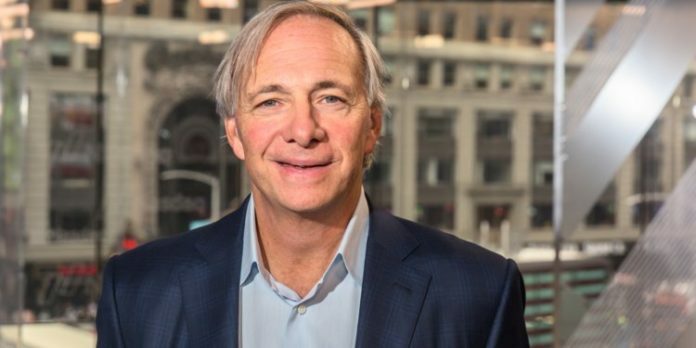 But actually, just holding your money in cash is a bad idea, according to billionaire hedge fund magnate Ray Dalio. Here’s what he means: Over time, inflation causes the goods and services you buy every day to become more expensive relative to the value of the dollars in your wallet. For example, it would take saving over $1,495 in September 2018 (the latest data available) to match the buying power of $1,000 in January of 2000, according to the BLS’ Inflation Calculator. And over the long term, inflation becomes increasingly powerful. It would take about $10,742 in September 2018 to match the buying power of $1,000 in January of 1950, according to the calculator. Although you do earn interest on money deposited in a savings account at a bank, the amount is far too low to keep up with the negative impact of inflation, Dalio points out. Right now, the national average interest rate for a savings account is only 0.09 percent, according to data from Bankrate. Meanwhile, the Consumer Price Index — which measures inflation — rose 2.7 percent in the past year. Since keeping your money in a savings account is a guaranteed way to lose money, you have to turn your savings into investments, Dalio says. Then, your money is growing while you sleep. “Over a longer period of time, equities [or stocks] will have a higher return, bonds will have a higher return, real estate will have a higher return than cash,” he explains. While there are no guarantees in the stock market, from 1928 through 2017, the S&P 500 index produced a 9.8 percent average annualized total return.